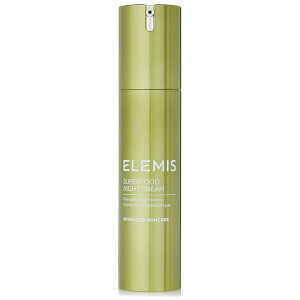 Reveal a clear and radiant complexion with ELEMIS Pro-Collagen Rose Cleansing Balm, a luxurious formula that transforms into a rich oil and then a soothing milk. Expertly melting away dirt, impurities and excess oil, the cleanser works to unclog pores and deliver deep hydration to maintain a healthy skin balance. Enriched with a powerful and nourishing blend of Shea Butter and Sweet Almond Oil, the lightweight makeup remover brightens the complexion to eliminate dullness and even out the skin tone. 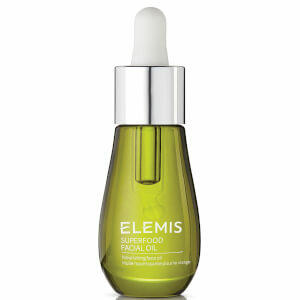 After use, skin is radiant, youthful and refreshed. Warm into the palms and then massage over the face, neck and décolleté with light circular massage movements. Moisten fingertips and continue to massage. Remove with a warm, damp cotton cleansing cloth. For an intensely nourishing treatment, you can also use this product as a facial mask. Apply a teaspoon size amount to the face, neck and décolleté massaging gently with fingertips. Relax for 10 minutes, then hold a warm, damp cleansing cloth over the skin, practise abdominal breathing and inhale the sensorial aroma. Gently wipe away. For maximum absorption and deep cleansing enjoy whilst in a warm bath. Balm may melt when warm but re-sets perfectly when cooled. Avoid contact with eyes. Prunus Amygdalus Dulcis (Sweet Almond) Oil, Caprylic/Capric Triglyceride, PEG-6 Caprylic/Capric Glycerides, PEG-8 Beeswax, Cetearyl Alcohol, Sorbitan Stearate, Sambucus Nigra (Elderberry) Seed Oil, PEG-60 Almond Glycerides, Fragrance (Parfum), Silica, Avena Sativa (Oat) Kernel Oil, Triticum Vulgare (Wheat) Germ Oil, Butyrospermum Parkii (Shea) Butter, Citrus Aurantium Dulcis (Orange) Peel Cera (Wax), Glycerin, Lecithin, Borago Officinalis (Starflower) Seed Oil, Phenoxyethanol, Cocos Nucifera (Coconut) Oil, Citronellol, Geraniol, Acacia Decurrens (Mimosa) Flower Wax, Rosa Multiflora (Rose) Flower Cera (Wax), Tocopherol, Rosa Canina (Rosehip) Fruit Oil, Carthamus Tinctorius (Safflower) Seed Oil, Benzyl Salicylate, Simmondsia Chinensis (Jojoba) Seed Oil, Rose Extract, Pelargonium Graveolens (Geranium) Oil, Rosa Damascena (Rose) Flower Oil, Rosa Damascena (Rose) Extract, Padina Pavonica Thallus Extract, Citric Acid.